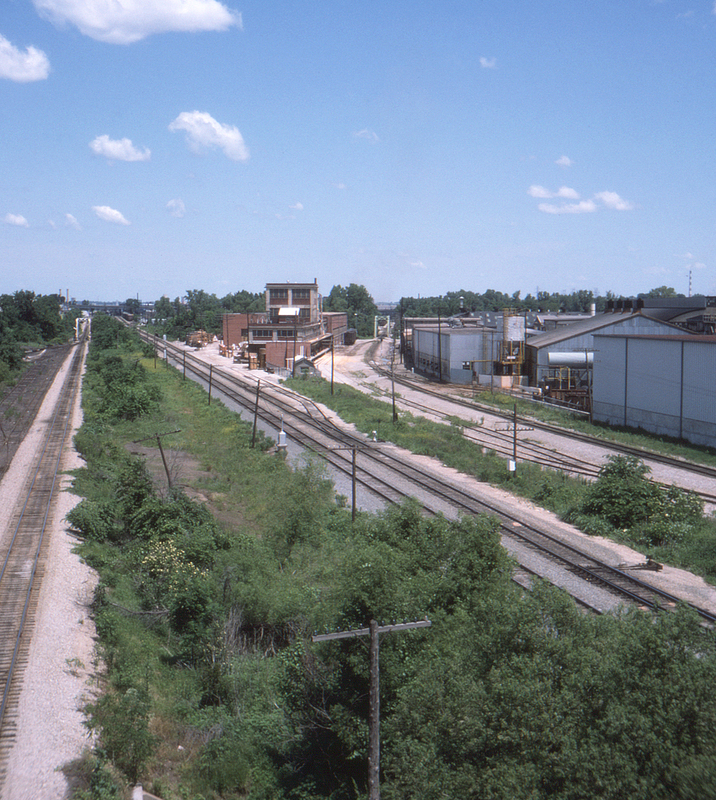 This view from the 23rd St. bridge at Kansas City, Missouri looking north includes four major railroads as they head towards the yards north of downtown. At the far left is the Chicago, Rock Island & Pacific; in the center are shared rails of the St. Louis-San Francisco and Missouri Pacific, with the Kansas City Southern mainline at far right. The bridges visible in the distance cross the Blue River.